Taken from the Clairivic spring in the Massif Central region. 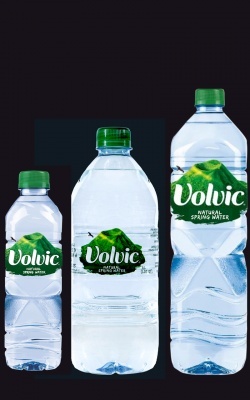 Volvic, as the name implies, has a volcanic geological basis, most evident in its 30 mg/l level of Silica, one of the world's more potent mineral water sources for this element. The perfectly neutral pH of 7.0, and overall low 109 mg/l total mineralization, makes Volvic a special water, truly unique in its chemistry. At 6.3 mg/l, the Nitrate level is higher than the ideal 5.0 maximum - but in the case of Volvic, this slight excess is probably offset by the water's virtues.